The Chicago barbecue restaurant Old Crow Smokehouse has come to Orange County. Located steps from the shore at Huntington Beach’s sprawling retail center Pacific City, the restaurant serves up a mix of various styles of ‘que culled from the country’s most famed regions, from Kansas City to the Carolinas. It also serves up beer and cocktails, and features live country music Fridays and Saturdays. Lunch & Dinner daily. Old Crow Smokehouse, Pacific City, 21022 Pacific Coast Highway, Huntington Beach, CA 92648, 714-536-0381. Jimmy’s Famous American Tavern has opened its second location in Orange County. The restaurant, whose original OC location is in Dana Point, is in the Village at La Floresta, the flourishing shopping and dining complex located in east Brea. Guests can expect a menu featuring generous portions of kicked-up comfort food, along with several wines on tap and craft cocktails. Lunch & Dinner daily, Brunch Sun. Jimmy's Famous American Tavern, Village at La Floresta, 3325 E. Imperial Hwy., Brea, CA 92823, 714-733-1310. The seafood restaurant Ways & Means Oyster House has returned to Orange County. The venue, which had closed its lone Orange location in October 2014, is located in Huntington Beach’s Pacific City shopping and dining complex. 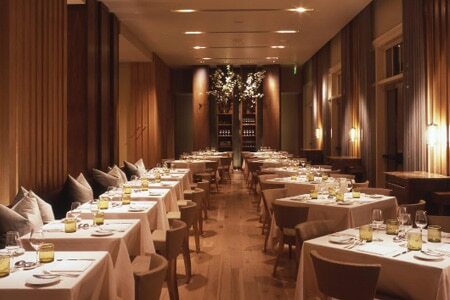 As was the case in the old location, executive chef Justin Odegard oversees a seafood-centric menu with an emphasis on fresh, sustainable products and “ocean to table” motifs. Guests can also enjoy oceanfront views with seasonal cocktails and selections from a globally inspired wine list. Dinner nightly. Ways & Means Oyster House, Pacific City, 21022 Pacific Coast Hwy., Huntington Beach, CA 92648, 714-960-4300. 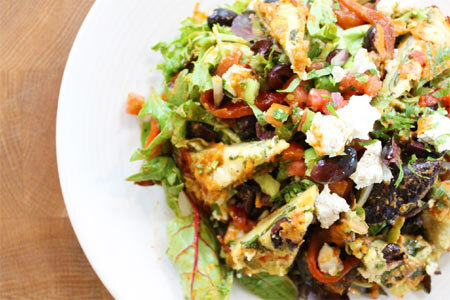 The team behind the Los Angeles plant-based restaurant Café Gratitude has launched its first Orange County location, Gratitude. It features a seasonally driven, environmentally friendly vegan cuisine for lunch and dinner. The restaurant also serves handcrafted cocktails concocted with house-made bitters, infusions and shrubs. Guests on the move can pick up several items via takeout service. Lunch & Dinner daily. Gratitude, Castaway Commons, 1617 Westcliff Dr., Newport Beach, CA 92660, 949-386-8103. Roy’s in Newport Beach is now open for lunch service Monday through Friday. The restaurant, which is located in the Fashion Island shopping center, is serving weekday diners a wide array of Pacific Rim-inspired starters, sandwiches, salads and lunch boxes, including several singular items crafted by the location’s chef/partner John Vega. Lunch items include Szechuan calamari; lobster potstickers; misoyaki butterfish lettuce wraps; and a pork sandwich with crispy onions, slaw and fries. Roy's, Fashion Island, 453 Newport Center Dr., Newport Beach, CA 92660, 949-640-7697. Chef Raj Dixit, formerly of Dana Point's contemporary Stonehill Tavern, has taken the reins at Michael Mina in San Francisco, replacing Ron Siegel. Stonehill Tavern, St. Regis Resort, Monarch Beach, One Monarch Beach Resort, Dana Point, CA 92629, 949-234-3200, 800-722-1543. Foxfire: An American Chophouse has closed its doors. No reason was given for shuttering. The venue, which featured steaks and chops, along with a well-honed reputation for being a hangout for older single women, ceased service after the first week in February. No plans for a replacement venue have been revealed. Foxfire: An American Chophouse, 5717 E. Santa Ana Cyn Rd., Anaheim Hills, CA 92807, no phone.